Our ultimate goal at Total Health Pharmacy is to provide the safest and most effective medication administration for our customers. We look to be leaders in all aspects of pharmaceutical safety. Through utilization of advanced medication dispensing and packaging technology, we can confidently assure our customers that their medication will be accurately dispensed as per their requirements. The technology is further assisted by the use the latest medication administering software, which allows us to accurately track, monitor, record, and administer medication. These two critical components of our process enable us to provide the highest standards in medication administration. Customer safety and satisfaction is among our primary concerns here at THP. Our drive to provide customers with the utmost care in administering their medication sees us constantly looking to improve and develop our current methods. To date, we have implemented the latest technologies to help us achieve our goals, which have resulted in minimizing administration errors to near none. 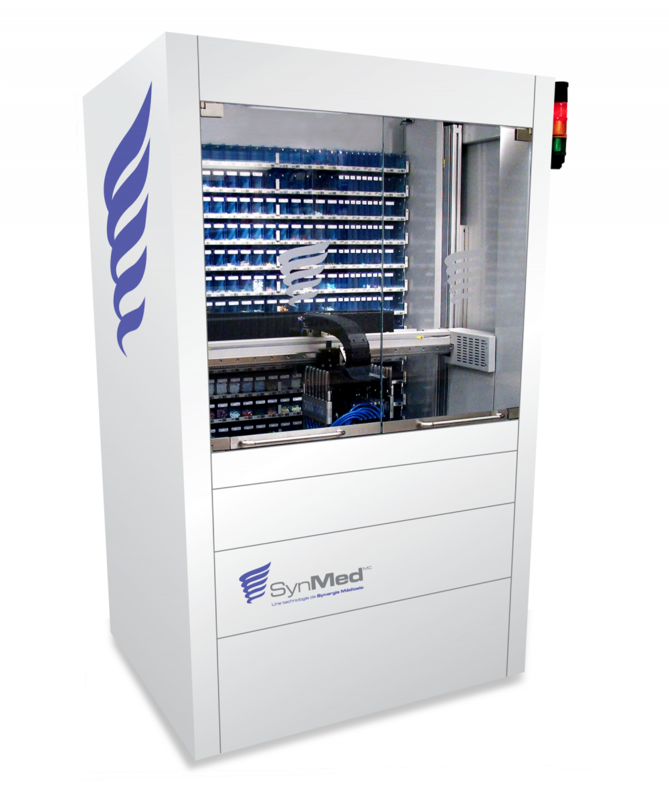 SynMed is an automated Medication Dispensing machine which helps to drastically reduce the time it takes to dispense medication. It is a highly efficient machine that frees up our pharmacists from the tedious task of manually dispensing medication for our customers. This also eliminates the possibility of human errors in dispensing medication. EMARS stands for Electronic Medical Administration Records and is software that is used by THP for the purpose of electronically administering customer medication. It is highly accurate and helps to reduce the administration errors that were so often the case with regular paper medical administration records. We provide many services for our customers that further ensure safe administration and dispensing of their medication. Our services are in place so that our customers are always up to date with their medication and are educated on their proper uses. Safe and Effective Medication Administration is something that THP will continually strive to improve. Through our team of pharmacists and other medical practitioners, we promise to always and most efficient means of prescribing medication for our customers.